Buyers are navigating a complex, noisy market and need help to understand how your offerings relate to major transformation or deliver specific outcomes. In a market fraught with buzzwords and drama, you can separate from the pack and drive growth by connecting your value to clear research. 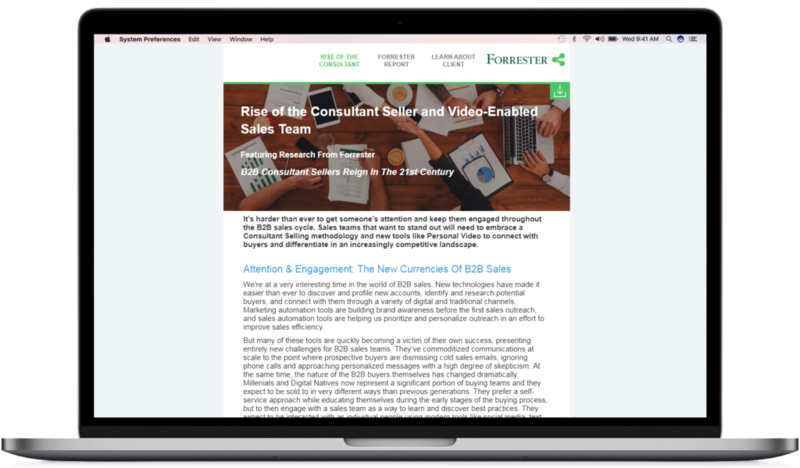 Forrester’s Reprints offering helps clarify, position, and create urgency for your products and services; educate your buyers on markets and trends; and provide context for your solutions’ strengths. Tell your story and drive demand with a digital reprint. Our offerings allow you to customize your intro and sections for your products. Learn what works with advanced analytics. 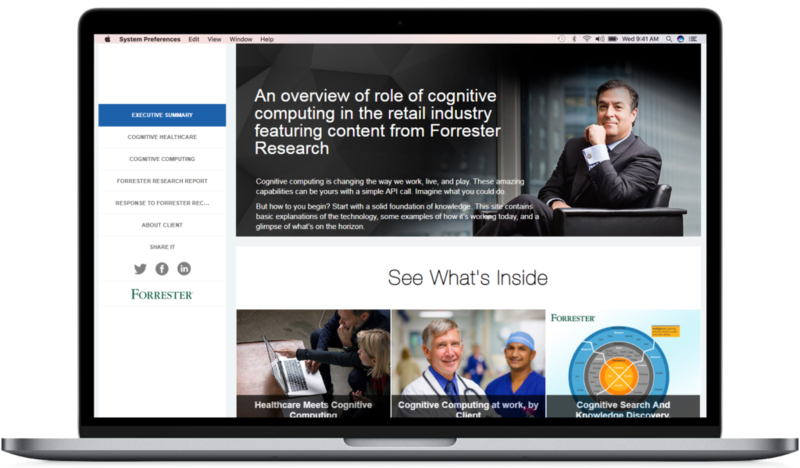 Showcase Forrester’s research alongside your expertise and product information in a compelling, customizable, and fully trackable online experience.